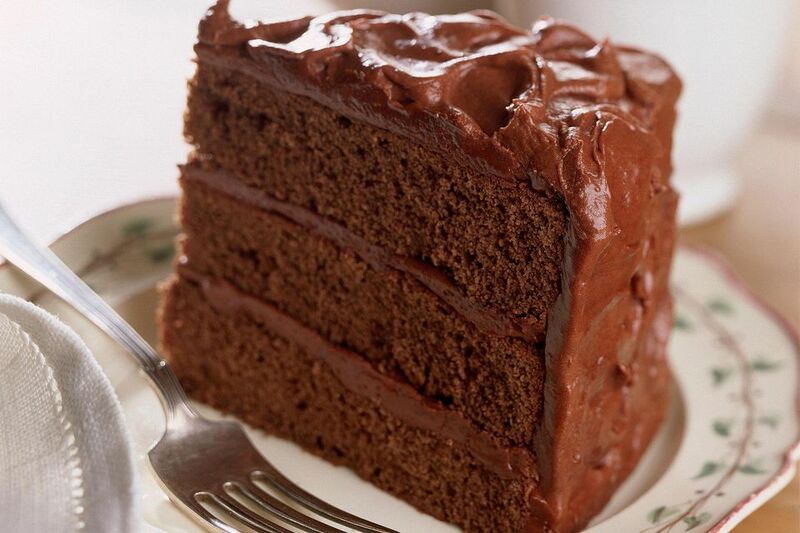 When one layer of chocolate cake just isn't enough, try making this Three Layer Chocolate Cake. This recipe is sure to please any chocolate lover. Preheat oven to 350°F. Grease and flour three 9-inch round baking pans. Mix cocoa with boiling water in small bowl; stir until smooth. Set aside to cool. Cream butter and sugar. Add eggs, one at a time beating well after each addition. Stir in vanilla. Gradually add cocoa mixture. Combine well. With wire whisk, combine flour, baking soda, and salt. Alternately add flour mixture with milk and sour cream to butter mixture. Beat until blended. Pour batter into pans. Bake 30 to 35 minutes or until wooden pick inserted in center comes out clean. Cool cake 10 minutes. Remove from pans to wire racks. Cool completely. Frost cake as desired.